In a bid to get a so-called perfect' life partner people have started looking for more and more NRIs with a wish to get settled abroad. 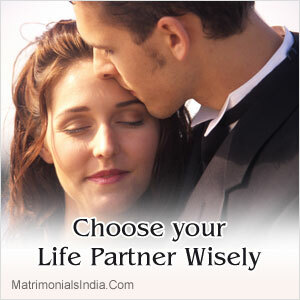 Decision to get married involves lot of factors such as stable life, secured future, luxurious life etc. that one takes into consideration. Most people usually believe that NRIs will be able to give their son or daughter a luxurious life to live along with a secured future. Even though it seems as if there is an increased demand of NRI proposals there are certain examples of NRI marriages that went wrong and had left negative impact on the people in the recent times. As there are two sides of a coin, everything in life has both positive and negative aspects. It is upon us to choose the right thing for us and make a wise decision. Before going in for NRI proposals there are few things to follow which will ensure safe and happy life for your son/ daughter. Avoid taking any hasty decision in a bid to get rid of your responsibility of marrying off your son/daughter sooner. Wishing for a perfect life partner with a secured future and a NRI tag for your son/daughter is absolutely fine but do not take haphazard decision which might end up working in a negative way for your child. Choosing the right partner eventually takes time; so don't be in a rush. There are numerous matrimonial sites which offer free and innovative profile creation, free online dating options. You can get your son/daughter registered in that which will help them in finding the suitable match easily. There are several specific categories as well in each site such as Hindu matrimonial, Christian matrimonial, Muslim matrimonial, Brahmin matrimonial which narrows down your search and makes it easier and convenient for you in finding the appropriate match.